Central Heating from Alpha Building and Heating Ltd.
We offer professional central heating installation across Birmingham, Bridgnorth, Bromsgrove, Dudley, Stourbridge, West Midlands, Worcester, Worcestershire, and surrounding areas. 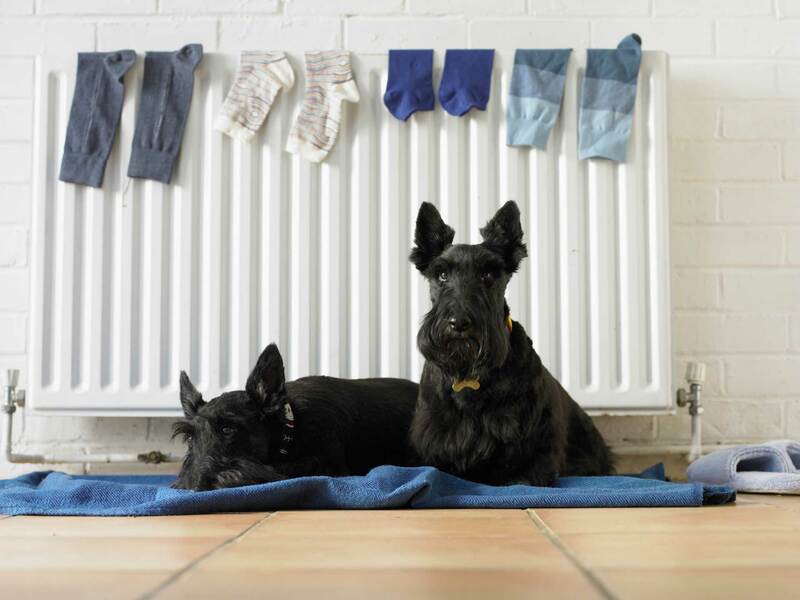 Modern central heating is a fantastic way to keep your home warm and comfortable during the colder winter months, efficiently heating your home to help optimise heating costs and reduce your carbon footprint across the course of the year. As it serves as an important part of any home, you’ll definitely notice it when it isn’t working during the colder months of the year. With 95% of homes across the UK benefitting from some form of central heating, it is important for us to be able to offer a flexible and efficient service to accommodate. With this in mind, we can carry out everything from a simple boiler replacement to the installation of a full central heating system: including a new boiler, radiators, and heating controls. If you’re unsure what central heating system you have in your home, you can get in touch with a member of our team who will be able to help. It’s important to note that it is likely that you have a gas-powered wet system, however, there are other types available: wet systems, electric storage heaters, warm air systems and district heating. We’ll be on hand to make sure you get the right fit. We know that you want to make the most of your central heating, without worrying about carbon emissions or how effective it is. This is why we only install the latest systems, carrying out an installation that is based on the latest techniques and developments. We’ll make sure your radiator placement allows for maximum warmth with minimum heat loss, and we can even offer you advice as to how to make the most of your central heating long after it's been installed. This will include help on how long it will take to warm up and cool down, allowing you to set the optimum time to create a comfortable home in a cost-effective way. Wet Systems are the most popular style in the UK. 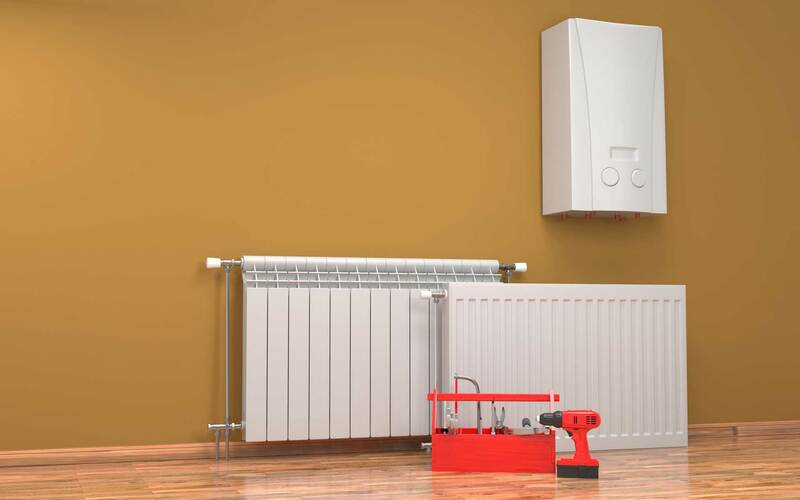 If your boiler burns fuel to heat water, which is then pumped into the underfloor pipes or radiators, this is the system that you have installed. If you're unsure, a member of our friendly team will be on hand to help. If your home doesn’t have a boiler, and your radiators have an input and output control, you probably have electric storage heaters. This comprises radiators that are filled with bricks, heated overnight to then release heat during the day as and when it’s needed. Warm air systems served as a highly popular option for homes during the seventies, and are still present in older buildings today. If your central heating is powered by external air being sucked in and heated by a boiler, this is the one that you have. Our expert team are able to accommodate for all types of central heating, ensuring you get a prompt and professional service across the board. You’ll be able to rest assured that you’re investing in something worthwhile for your home. District heating was a popular central heating system post World War II, utilising natural gas, household waste or biomass. You’ll have this system if you have no boiler and your hot water is sourced through a centralised heating source via insulated piping. You could find yourself needing to replace your wet central heating system, as the water can cause your radiators to age and corrode over prolonged use when no maintenance is undertaken. In turn, this means that you could find yourself suffering the cold when the weather turns! Our professional team can also install a brand new central heating system into your home, covering the fitting of pipework throughout the house, the placement of radiators to ensure they are ready to use in your rooms, and installing a new boiler to help keep your home comfortable. Due to the complex process that is required for an efficient central heating installation, it is important that you invest in the services of a professional installer: which is where we come in. Based on the type of central heating that you choose, your central heating will comprise a range of components. This, usually, includes a boiler, radiators, pipes, smart heating controls, and various other components compatible with gas safe and building regulations. With this in mind, poorly fitted central heating could result is safety problems, posing a risk to your family and your property. With Alpha, this is something you will never have to worry about. If you have no central heating or a different form of pre-existing heating system such as electric storage heaters, we are happy to discuss the installation of a gas powered, wet central heating system. Get in touch for more information. To begin, we’ll find the right placement for your boiler and other components to ensure the transition is as smooth as possible. Our professional team will then fit the radiators, working as quickly as possible and with complete respect for your home. We will then lay the piping and connect the valves to the boiler, radiators, water tanks, and outlets. The second to last step is to ensure all radiator vents are closed the fill the system with water. Lastly, we will balance the flow of hot water on each radiator to ensure consistent warmth. Enjoy your central heating system in the peace of mind that it combines premium materials with a professional installation, accompanied by a comprehensive boiler commission and a full Gas Safety Certificate to ensure lasting quality and safety. To give you a frame of reference, central heating for a three bedroom semi-detached house should cost you around £4,500. Get in touch with us via our online contact form to speak to a member of our team about our competitive central heating prices, we’ll be able to give you a bespoke quote. Alternatively, you can get in touch with us via this method should you have any question regarding our services or prices.